Princes Street Reopens, originally uploaded by alister. Buses back on Princes Street for a month or so to enable you all to consume more over Xmas in a pleasant environment. 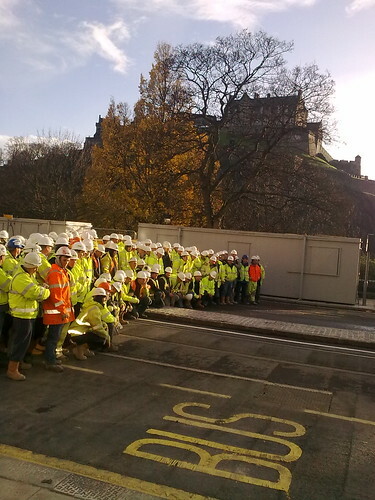 Pic shows Tram workers posing for a celebratory picture.